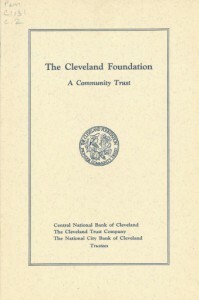 The Philanthropic Archives collects and makes available for research print and non-print material that documents the history of philanthropy and charity in northeast Ohio. It houses manuscript collections consisting of personal papers of individuals and families, oral histories, and the institutional records of foundations and nonprofit organizations. These materials include grant files and board minutes, administrative and financial records, correspondence, photographs, publications, and audio and video tapes. 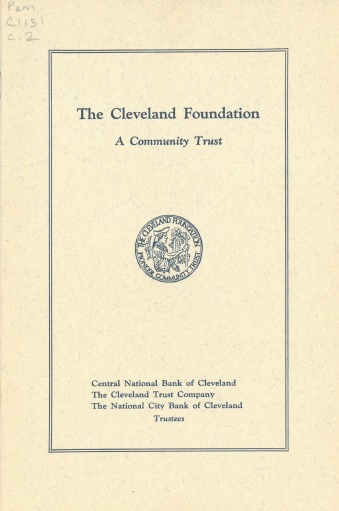 • It preserves the documentary evidence of philanthropic activity in Greater Cleveland by cataloging and providing access to permanently valuable operating records, allowing for efficient and informed management of the philanthropies. • The records in the Archives allow the study of resource allocation decisions by the donor agencies for both current grant-making and historical analysis. The value of Cleveland philanthropy to the region is not just the immediate changes caused by funding a program, person, or groups, but the long-term effect. 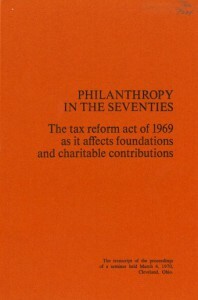 To determine such effect, analysts must research and study the original records created by the philanthropic organization in its decision-making process. Resource allocators and social planners need to know whether strategies were successful or failed for both the philanthropic organization and recipient. This information helps determine the most efficient process for setting research priorities and directing intellectual resources for future grant requests and decisions. 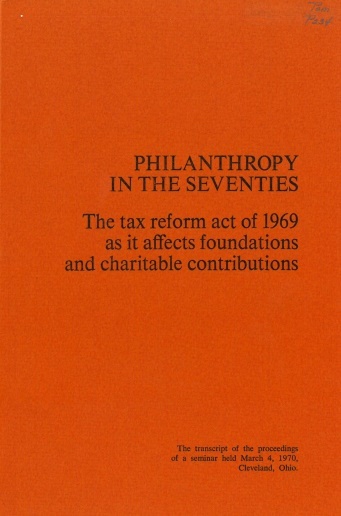 Whether individual philanthropic and charitable organizations cease to exist or continue indefinitely, the documentation they create is an invaluable social legacy. The Philanthropic Archives is part of the WRHS Corporate and Philanthropic History Archives Program.